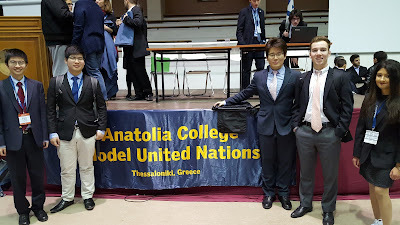 It's difficult to describe the fun, organized chaos of a Model UN conference. Rather than recalling the three-day event where students discussed everything (in character) from the 1920 Sevres Treaty to a UN resolution on LGTBQ rights in writing, we have videos from each of our delegates. Linked here are our interview with Meghan Kulkarni '18, Gordon Ho '17, Trung Huynh '17, and the duo of Charlie Yoon '16 and Noah Pederson '16, discussing their experiences. 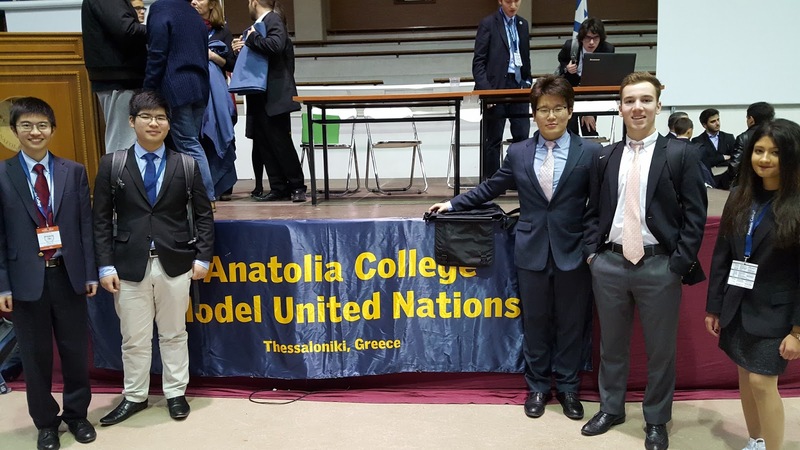 Additionally, Anatolia College's Model UN Team put together a video recapping the conference as a whole. Watch it here, and be on the lookout for our five delegates!